I’m writing this from northern Virginia, where Pam and I just met our first grandchild, a (not-so) little boy named Sawyer Brooks Stoutenburgh (that’s him above). 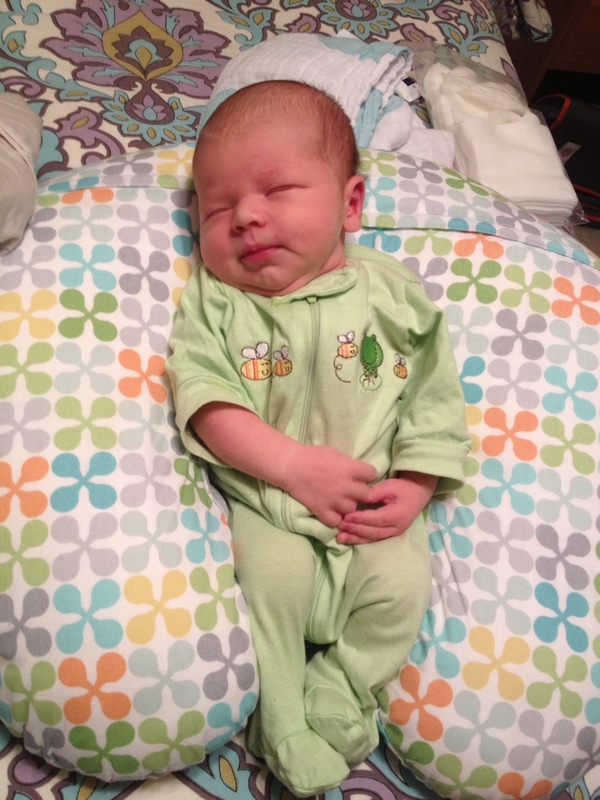 At six days old, Sawyer is already quite proficient at three things: sleeping, eating, and voiding. It’s a sweet and precious gift to hold him and wonder what he sees and hears in his little noggin with that wonderful baby-head smell. I’m heading back to Chicago while Pam hangs around to help Sawyer’s mom and dad, Kaitlin and Andy. I’m happy to report I’ll be visiting with fans around my home state of Michigan over the next several weeks, with stops in Howell, Paw Paw, Beulah, Central Lake, Grayling and, with any luck, a couple of other towns. I’m especially looking forward to seeing Howell, where I worked at the Livingston County Press more than 30 years ago, and Beulah, on the shores of Crystal Lake, which I’ve never seen. See the column to the right for details. I’ll also be speaking at the Printers Row Book Fair in Chicago at 4 p.m. on Saturday, June 8. That’s always a great time to see readers and author pals. I might even grab a beer at Kasey’s on Dearborn Street, a fine emporium. Good to finally have some spring in Chicago (I probably shouldn’t have said that, eh? Blizzard now in the May 20 forecast?) It’s truly an amazing city in the summer. Can’t wait for Bluesfest, the same weekend as the Book Fair. Working away, every day, on the fourth novel. I hear there may be interest in the traditional publishing world, which is great, but even if there isn’t, there’s more than one to skin a cat in the pub world these days. Stay in touch!